For the second time this year Sherwood Archers hosted a major tournament for The English Archery Federation. This time it was for the Euro-Nations and Commonwealth European Championships. 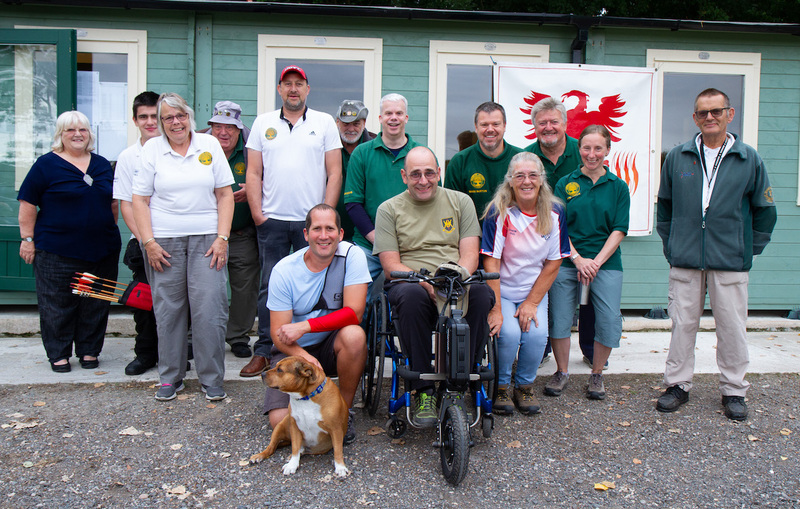 Many club members were involved in the event: Secretary Susan Stankovic was the Organiser, Chairman Mario Stankovic was Judge-in-Charge, Treasurer Linda Telford recorded the scores during the day and Serena Lamb and her family organised the lunches for the visiting archers. A team of members also made up the working party which set up the field for the two-day event and drove the mini-buses to and from Brackenhurst, where the archers were staying, as well as to stations and airports. Representative teams from England, Wales, Scotland, Northern Ireland and Jersey took part on the first day, in warm, sunny conditions. At the Presentation Banquet on the Saturday evening, at Brackenhurst, awards were presented by Sherwood Archers' President, George Brown and his wife. The England team swept the board in all categories except the Ladies Individual recurve, which went to Wales.The Small Nations Trophy was awarded to the team from Jersey. The second day was an Open Competition. 23 archers from various clubs, including six members from Sherwood Archers, joined the archers from Saturday, making a good field of 70. England men dominated the Men's Recurve, Derwent Bowmen took all three Men's Compound medals, Wales won the Women's Recurve, and Jersey the Women's Compound. Sherwood's Reece Buckland took the longbow medal, and Lantarnam Archers the barebow medal. The tournament was a great success, everything going very smoothly, under the leadership of Susan Stankovic, supported by the members of Sherwood Archers, and was much appreciated by those taking part, and the English Archery Federation. Thanks are due to Southwell Town Council, Custom Built Archery, KG Archery and Asda for their support.